Our certified staff and our doctor will be eager to welcome you so that your initial concerns and questions can be addressed in a comforting and sensitive manner. Upon completing our concise and important Health History and Dental History forms giving us information about your comprehensive as well as oral health, you will be taken to one of our comfortable and soothing treatment suites. Dr. Cid will speak to you in depth about your chief dental and oral health concerns as well as your goals and expectations for present and future dental therapy. We will take a series of clinical photographs of your teeth and oral structures at no cost to you as part of the comprehensive evaluation. At this point we can discuss palliative needs and treatment goals along with a full smile assessment for your benefit. We will examine your teeth, gums, oral structures and begin a complete recording of present and past conditions so that way may set a proper and detailed goal for your treatment and assess potential outcomes. With thorough examinations we will help you acquire and maintain a confident and healthy smile. Easily pay on-site. We accept all major credit cards, CareCredit (Application Link) and cash. For your immersion, appointments can be done in Spanish. We speak 100% fluent Spanish. If x-rays are necessary we will acquire them with our safe, state of the art digital radiographic technology. You and the doctor will be able to review your x-rays instantly with our High Definition monitors. 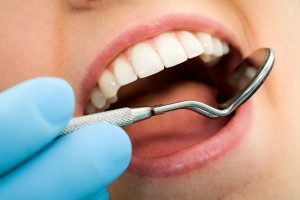 Our dental professionals will focus their techniques on preventive oral care for your dental and full body health. Your regular oral hygiene therapy will remove tartar and plaque accumulation and help to prevent gingivitis, gum disease, and other systemic health problems caused by these.This will ensure whiter and healthier teeth as well as fresh breath. At 616 Dental Studio we are happy to welcome all members of your family, regardless of age. 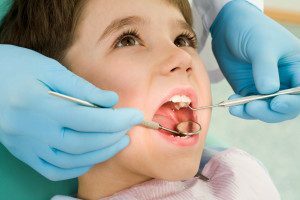 Since every child is different, Dr. Cid has a wide range of approaches to help a child complete needed dental maintenance and treatment. We recommend a child be seen by the dentist as soon as they have teeth. It is important that they become accustomed to the dental setting early so that a routine schedule of maintenance and oral health can exist throughout life. Our gentle staff and atmosphere will provide a comfortable setting for children of all ages. For those diagnosed with periodontal (gum) disease, the good news is that it can be treated successfully. During an examination, your gums will be evaluated for periodontal disease. You don’t have to lose your teeth to gum disease. Scheduling regular dental visits with proper home care is the best way to prevent this process. Endodontic treatment, or root canal therapy, treats the soft pulp tissue inside the tooth. This is required when a tooth has lost or is losing its vitality resulting in a toothache or an abscess. Dr. Cid is here to provide you with routine root canal therapy in order to save your tooth and remove the pain and potential for more pain so that you can keep your tooth after proper restoration. In the event that a root canal is considered complex or needing further treatment, we will refer you to a qualified Endodontic specialist for your treatment. Once this has been completed we will bring you back to our office to have your tooth properly rebuilt and strengthened. Our office is 100% metal and mercury free.If you have any dental decay that requires cleaning and filling, we only use composite or porcelain tooth colored premium materials that will directly bond to your teeth. 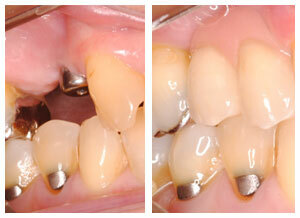 We also replace old corroded silver fillings with white fillings before teeth develop more serious problems. Existing fillings will be evaluated by the doctor at your visits and treatment-planned accordingly. The doctor can also fix any chipping of your teeth with these esthetic strong materials and make them match the rest of your tooth precisely adding strength and beauty. Sometimes a tooth is deemed non-restorable or is beginning to cause a problem for the surrounding teeth due to overly extensive infection or crowding. Wisdom teeth are a common culprit for pain and infection and in many instances need to be removed. Dr. Cid has 14 years of extensive experience in the removal of teeth that no longer belong in the mouth. He can do this in a very gentle and relaxing environment for the patients and always takes care to keep your comfort during and after the extraction. 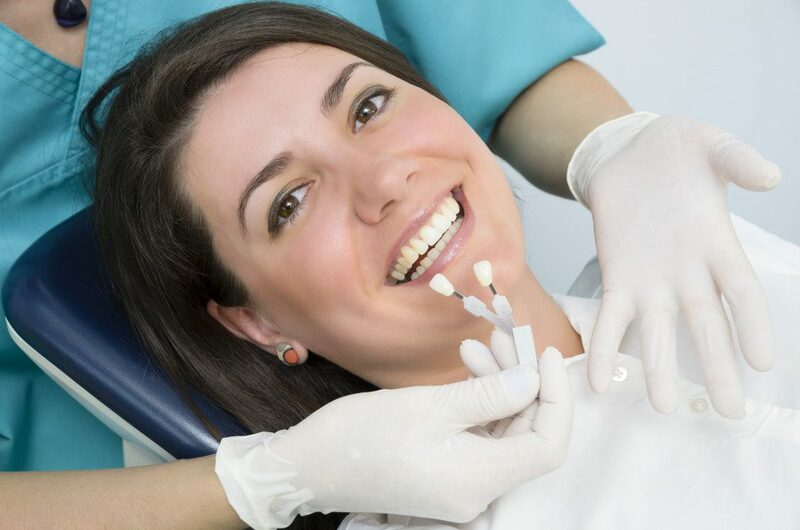 For any extraction, you will be gently numbed so that you feel minimal discomfort during the procedure. We will have different methods of easing your anxiety before, during, and after any surgical procedures. Dentures are a removable prosthetic that will replace missing teeth and help restore your smile. If you’ve lost some or all of your natural teeth, either due to gum disease, tooth decay or injury, replacing missing teeth will benefit your appearance and your health. Our dentures are all hand crafted to look natural and function efficiently with great comfort. Dr. Cid can provide very nice strength, retention, and stability for chronically loose dentures through the use of dental implants. In many cases Dr. Cid can switch you from dentures to fixed teeth through the use of the latest surgical and prosthetic techniques which include the use of dental implants. Certain dental conditions can affect a tooth and deplete the functional strength of the natural structure. These conditions can include very large old fillings that are breaking down, broken teeth due to trauma, chewing, decay or excessive wear and tear. A beautiful, ceramic, tooth-colored crown will cover the tooth and help restore it to its normal form and function. The crown will make your tooth stronger and improve its appearance. Crowns are a wonderful way to cover teeth that are discolored or badly shaped. If you are missing one or several teeth, you will eventually notice a difference in your ability to chew and/or speak. 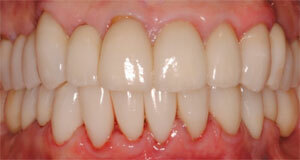 A bridge can be a nice option for replacing one or more teeth by “bridging the gap” so to speak. A bridge replaces missing teeth by fixing a replacement tooth or teeth to the natural teeth at each end of the gap. Bridges can be made using porcelain materials and are attached to surrounding teeth for support matching the rest of your smile and filling in the spaces left. 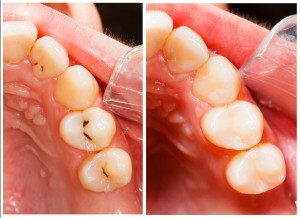 A fixed bridge is permanently bonded to your teeth and can only be removed by the dentist. This will keep your remaining teeth healthy and strong. Veneers are a simple and strong solution to chipped, broken, discolored and crooked teeth. Veneers are thin, custom made porcelain shells crafted to cover the front side of teeth. The procedure is minimally invasive to the underlying tooth. In many cases they can serve as “instant orthodontics”. Veneers are made of the highest quality dental porcelain to match your existing teeth or make them the whiteness and shape that you have always wanted. All of our veneers are fabricated by Johnny R. Tilokee CDT, the ceramist to the stars. Johnny has perfected the smiles of many familiar Hollywood celebrities that you can see on TV or in the media. His veneers are all custom and handmade to fit each individual smile and functional system. Through his special relationship with Dr. Cid, you too can have a Hollywood smile. Dr. Cid has taken a particular interest in dental implants throughout his career. He has extensive training and experience is in every possible phase of implant dentistry. Dr. Cid has been placing and restoring dental implants of all difficulties for 14 years. Replacing missing teeth and segments of teeth with fixed, permanent, dental implants has been a major focus in his career. If you feel self-conscious because you have missing teeth, wear uncomfortable dentures or partials, or don’t want to have good tooth structure removed to make a bridge, discuss dental implants with Dr. Cid. He can provide you with any and all options for reconstructing your missing teeth with dental implants. Dental implants are a standard and effective way to replace missing teeth and are designed to blend in with your other teeth. They are an excellent long-term option for restoring your smile. The dental implant will happen in two primary phases. Dr. Cid will surgically place the implant into the jawbone. The healing process is similar to having a tooth extracted and in many cases much easier. Afterwards the bone around the implant heals and attaches through a process called Osseointegration. This healing time can be anywhere from 2 to 6 months, as determined by Dr. Cid. The tooth is then custom fabricated and attached permanently to the titanium dental implant that has strongly integrated to the jawbone. This tooth is made of strong materials that will be designed to blend in with your existing smile through the use of the highest quality tooth colored porcelains. Mini implants can be ideal for securing dentures and partials. They are relatively inexpensive and can add priceless value to your health and life by providing much improved strength and stability so that dentures and partials function more similarly to fixed teeth. This is a perfect solution for badly fitting dentures that are constantly requiring unsavory adhesives to stay in place. Dr. Cid has in depth training and experience in providing the ALL ON 4 implant reconstruction. This entails coming in with failing teeth and leaving with the bright smile of your wishes. This transformation is all done in one day. All surgery and teeth are done and attached by Dr. Cid. This is the ultimate in a dental makeover and will significantly change people’s health and lives by giving them the ability to chew and smile in the same way that they originally did before problems began. This is a revolutionary technique that Dr. Cid is passionate about for his patients that require a transformation. Dr. Cid is happy to provide his patients with Invisalign Braces that can provide the beautiful straight teeth you’ve always wanted. Your Invisalign treatment will consist of a series of aligners that are switched out every two weeks. Each aligner is individually made with precise calculations to gradually shift your teeth into place. Since your Invisalign is custom made for your teeth with a plan devised by you and Dr. Cid, you know you’ll end up with a smile that truly fits. Dr. Cid has taken a particular interest in dental implants throughout his career. He has extensive training and experience in every possible phase of implant dentistry. Dr. Cid has been placing and restoring dental implants of all difficulties for 14 years. Replacing missing teeth and segments of teeth with fixed permanent dental implants has been a major focus in his career. Discover the beauty and confidence of whiter teeth. The efficiency and long lasting results of our in-office whitening can provide the brightness in your smile that you have desired for special events and beyond. Your whitening will be a same day service. It will be performed chair-side in under one hour using our state of the art I-Brite LED whitening light in conjunction with Natural Elegance In-Office whitening system. All in-office whitenings will receive free take home custom made whitening trays. Veneers are a simple and strong solution to chipped, broken, discolored and crooked teeth. Veneers are thin, custom made porcelain shells crafted to cover the front side of teeth. The procedure is minimally invasive to the underlying tooth. In many cases they can serve as “instant orthodontics”. Veneers are made of the highest quality dental porcelain to match your existing teeth or make them the whiteness and shape that you have always dreamt. All of our veneers are fabricated by Johnny R. Tilokee CDT, the ceramist to the stars. Johnny has made over some of the most famous smiles that you can see on TV or in the media. His veneers are all custom and hand made to fit each individual smile and functional system. Through his special relationship with Dr. Cid, you can have the best result in your made over smile of the utmost quality. Mini implants can be ideal for securing dentures and partials. They are relatively inexpensive but can add priceless value to your health and life by providing much improved strength and stability so that dentures and partials function more similarly to fixed teeth. This is a perfect solution for chronically badly fitting dentures that are constantly requiring unsavory adhesives to stay in place. Dr. Cid will surgically place the implant into the jawbone. The healing process is similar to having a tooth extracted and in many cases much easier. Afterwards the bone around the implant heals and attaches through a process called Osseointegration. This healing time can be anywhere from 2 to 6 months as determined by Dr. Cid. The tooth is then custom fabricated and attached permanently to the titanium dental implant that has strongly integrated to the jawbone. This tooth is made of strong materials that also will blend in with your existing smile through the use of the highest quality tooth colored porcelains. The temporomandibular joints, known as the TMJ, are the joints and jaw muscles that make it possible to open and close your mouth. Located on both sides of your head, your TMJ work together when you are speaking, chewing, and swallowing. They also control the lower jaw as it moves forward, backward and side to side. Problems preventing this complex system of muscles, ligaments, discs and bones form working properly may result in a painful TMJ disorder. Dr. Cid is ready to examine, diagnose, and treat these problems. We have experience providing a full scope of treatment modalities to alleviate these painful disorders and get patients back to a fully functional adaptive capacity.